From far left: Nicholas Chee (Sinema Media), Sanif Olek, Wee Li Lin, Don Aravind and Kenny Tan. UTTER is a special Singapore Writers Festival initiative, which showcases the best of Singapore writing and celebrates its potential to be adapted into different media and across languages, giving audiences fresh perspectives and a deeper understanding of our homegrown authors. 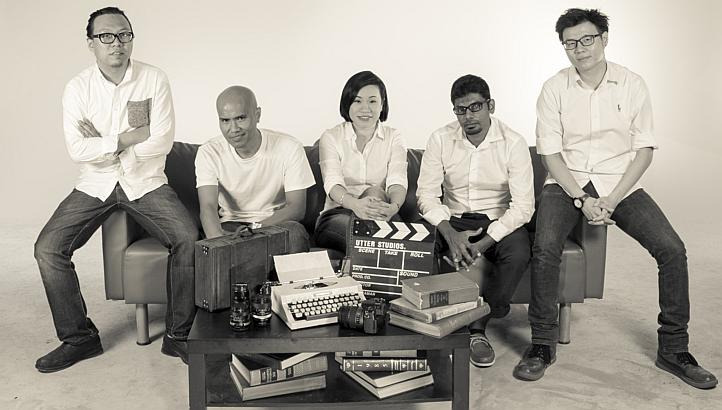 Utter 2014 features four short films inspired by Singaporean short stories in our national languages. 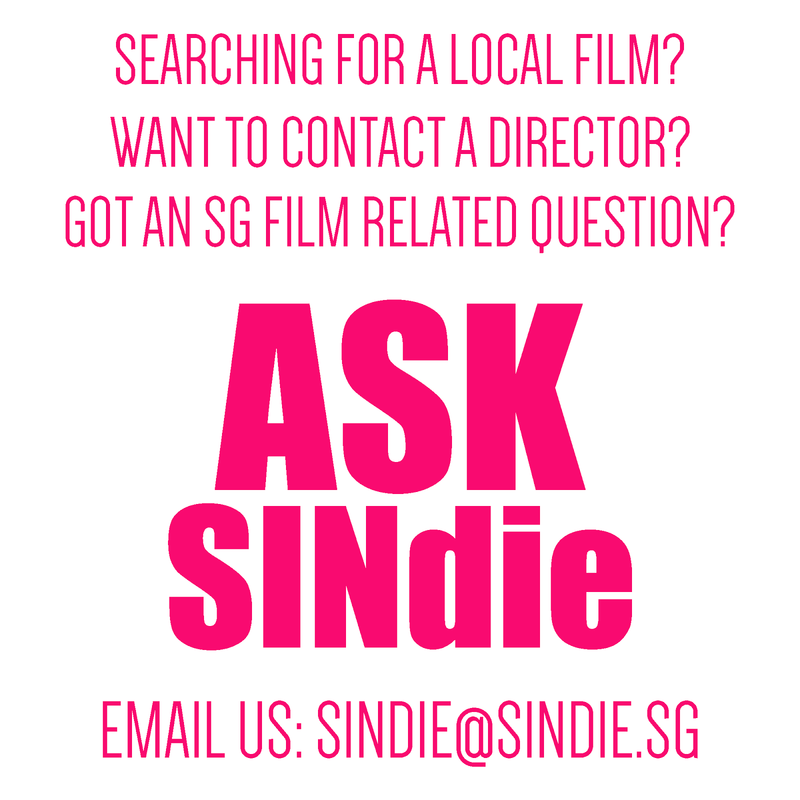 The films are produced and distributed by Sinema Media, and includes filmmakers Sanif Olek, Don Aravind, Wee Li Lin and Kenny Tan in the line up this year. 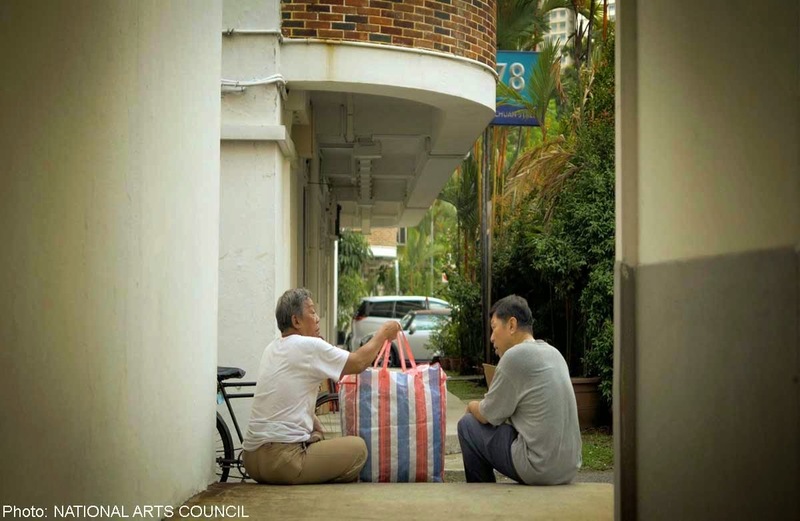 The film “Going Home”, interpreted by filmmaker Kenny Tan, paints its visuals with a soft daylight pastel palette and a sense of restfulness (one may even suggest that Singaporean photographer Nguan’s trademark aesthetics have been channeled in this instance). Set in the all too familiar old HDB backdrop, the setting not only sets the mood to the piece, it also plays an important narrative component as the site of buried conflict and tension, both with the nature of its evolution and within one’s personal memories. 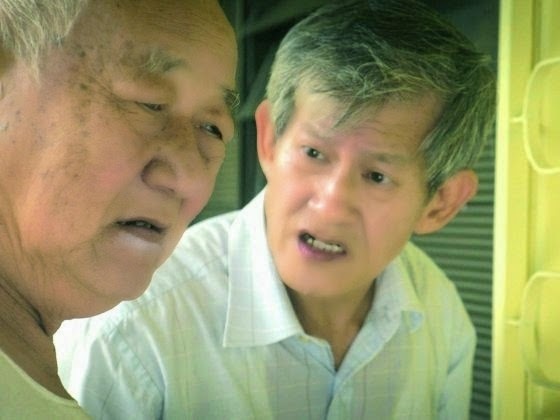 A story about an elderly man who goes back to his old neighborhood to visit his old friend and whom confronts the realities of aging, the film feels well placed within the classic mould of this familiar template of ‘the independent Chinese Singaporean film’ since the late 90s. The titles, the backdrop, the tinge of nostalgia and the prevalent narrative concerns - or in some cases, rhetoric - of the passed and passing, within the context of our Singaporean society and landscape, certainly jump out at you. This baton seems to be passed on to the hands of Kenny Tan this time, and he handles his work rather competently, making this film a worthy addition to the collection of similarly-themed Singaporean shorts over the years. There is an assuredness and maturity in his direction, seen from his thoughtful compositions and the sensitivities he displays in portraying the mundane. It is a very delicate, carefully pieced film, and Kenny surely knows what he is going for every step of the way. More often than not, the film is composed and naturalistic, and both Lin Jin and Kenny Tan can take credit for provoking introspection in the end with the discourse on aging, the multilingual dialogues and the recreated dramatic world that was wrapped around them. However, one can argue that the ‘simplicity’ that was inherent in the original writing and pursued by the filmmaker seems to be perturbed by his film adaptation in certain moments, with deliberate filmic elements employed. For most of the film, the still shots are patient, restful and poignant, and are rich and telling on their own. It is hence a tad unfortunate that Kenny is unable to resist the temptation of putting his own additional touches in a bid to evoke more emotions than necessary. The music strains prevalent in the film come across as a little too overplayed, arousing and distracting during important moments in the film. The punctuation of two key tracking shots along the corridors, one in the middle and the other at the end, not only draws attention to the drama intentionally but also draws attention to the camera and the director’s viewpoint, unfortunately. Their inclusion not only breaks the simmering spatial tension established early in the film, but also brings about this turbulence to the dramatic momentum that deliberately trains the audiences’ eyes to a certain sentiment and impedes the space for realism and objectivity offered to the audience. - Don Aravind, on adapting ‘Mukadukal’. If Kenny Tan’s “Going Home” is the ‘day’ film, Don Aravind’s “At Your Doorstep” will be its ‘night’ accompaniment. The similarities in subject matters and settings are uncanny, considering the filmmakers have the freedom to choose from a whole range of local literary text. However, it is also clear that both films do have their distinct directorial approaches and sensibilities toward their respective stories. The film, “At Your Doorstep”, is essentially a meditative piece that explores an old lady’s state of mind and the conflicts she has with her son and his family. Whereas Kenny Tan chooses to use music strategically in his piece, Don Aravind opts to permeate his film with a disquieting and unsettling silence throughout its whole duration. This decision not only creates an intensity and focus that allows the space for reflection, it also adds an extra tonal layer into the film and pulls the audience into the grandmother’s world of isolation and desolation. There is just something enchanting and absorbing about this sense of melancholia that accompanies the silence of the night. “No matter how much I tell you, nothing seems to get into your damn head”. This line in the film, directed to the grandmother by her daughter in law in the story, is particularly memorable and telling of the whole construct of the film. Wesley Leon Aroozoo, who wrote the screenplay, came up with a curious, engaging and effectual way of storytelling by manipulating with filmic time in order to tie in and expound on the subject matter of the protagonist’s mental condition. 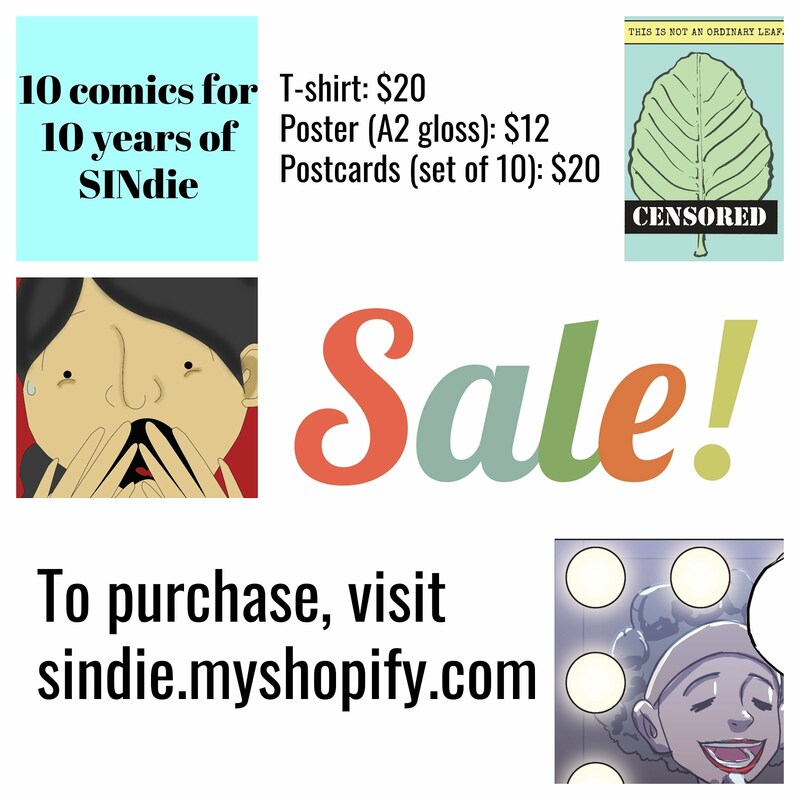 The audiences are skillfully eased into the grandmother’s perspective and her worldview, and this allows us to quickly empathize and invest in her plight and helplessness. This is clearly a personal film to Don Aravind, and this is exemplified by the tender examination and focus on the protagonist. Light and darkness envelops around the character to create emotional depth and the cinematography frames her intimately through the close ups and insularly through the spatial emptiness around her. The soulful and pained eyes of actress S. Sithira Thevi also prick the audience with sorrow as we witness her slow and inevitable demise. However, in the same vein, the actress’s performance does come across a little inconsistent too at times. Certain dramatic moments, notably her last close up shot, seem a little too overwrought for my liking, and the crucial close up shot of her beckoning to her beloved does feel flat and unconvincing. The metaphor of the flower, especially with the emphasis from the close up shots, feels a little too blatant and unnecessary as well. In the end, the ending just feels like it has somewhat abandoned its subtleties and unwittingly veered into the territory of melodrama, albeit temporarily. Despite these flaws, the emotional strength and the inspired film structure do redeem the film and culminates into an accomplished effort by filmmaker Don Aravind. - Sanif Olek, on adapting ‘Tin Kosong’. Some of the more well thought out cinematography in the film deserves a mention. The most memorable one consists of a wide lensed shot with the backdrop of a slick looking modern building and the flanking of the yellowish aging HDB structures. With the tiny isolated figure of the old man planted in the midst of the frame and him going through his humble work, the misc en scene and composition of the shot successfully communicated the thematic concerns of the film. The “mish mash of retro fun”, as mentioned by Sanif Olek, clearly refers to the film’s obtuse musical number. It is an intended filmic technique often employed by the “Golden Age” of Malaysian cinema in the 1950s and 1960s, and is meant to serve as a break for the audience during serious and dramatic moments, so as to release the tension from the film before it gets increased again. The throwback and tribute to such cinematic traditions and culture does add a good touch to Sanif Olek’s piece, and is also in line with his introspection and examination of the past, present and future from a cinematic standpoint. If there is any criticism, its that the meandering R Azmi song and the musical sequence may have gone on a tad too long, losing its freshness and novelty after a while. The main flaws of the film, however, come from the treatment of the narrative and the story itself, especially in its last act. From the beginning when the old man is depicted as having a one sided phone conversation with his wife, this reviewer was already hoping that the story would not resolve in the way that it ended up to be. Unfortunately, this expected ‘twist’ at the end of the film only comes across as contrived, clichéd and overwrought in the end. These sentiments also extends into a previous revelation in the film, where the welling of emotions in a particular moment explodes into a hit-in-your-face sensationalized sequence of Wong Kar Wai-eqsue motion-photographs and overly dramatized music. Instead of stirring more sympathy and empathy, such antics employed by Sanif Olek only served to alienate this reviewer from caring for the plight of the protagonist. - Wee Li Lin, on adapting ‘ Homecoming’. Probably the most stylistically distinct film out of the four, Wee Li Lin’s ‘That Loving Feeling’ is a much-needed breath of fresh air in this anthology, when compared to the three other similar and more pessimistic stories. The film is a tentative but hopeful tale about Ena, a 19-year-old young woman, who decides to take a step into independence by attending her first ever party on New Years Eve 1964. It is telling that the filmmaker has decided to revamp the original writing and adapted a brand new story of her own, because “That Loving Feeling” clearly has all the hallmarks of a Wee Li Lin film. The Singaporean ‘romantic comedy’ specialist has once again given us a confectionary tale of sweet love encounters, complete with her signature off beat characterizations and her colorful elaborate art direction. Not to mention her iconic imageries like her ‘things falling down from the sky in slow motion’ moments (from hong baos, rainbow dust, fake foamed snow to confetti, amongst others), the soft illuminating backlight and yes, smooching couples. The film may have been a welcomed departure from the HDB confined aesthetics and heavyhearted narratives, but it is certainly tried and tested stuff from the filmmaker. Simply put, it is never hard to recognize a Wee Li Lin film. And practice does make perfect, because Wee Li Lin has completed yet another accomplished visual piece to add to her filmography. Helmed by a pair of mature hands, every moment in the film feels right and on beat. The relationship between Ena and her mother, and the tension and peculiarities in between it all, never feels out of tune, as a fine chord between absurdity, comedy and relatability has been struck adeptly. The encounter between Gomez and Ena, despite the intervention of some cringe-worthy lines (Howdy, anyone? ), also moves along sweetly and convincingly without much hints of contrivance. Crucially, the eccentric side characters and extras in the film are also well directed, and this is important in building the kooky retro world that helps supplement the tone and central conflict of the story. Wee Li Lin is a meticulous filmmaker, whether towards her aesthetics or towards her direction, and her attention to detail certainly shows in this work. The criticism of Wee Li Lin can sometimes be directed to the repetition and lack of ‘gravitas’ in her works. Her films are usually feel-good, humorous and seemingly formulated – often resembling the mindset of the heart fluttering wide-eyed girl residing in her. However, they are also admittedly always polished and well produced, and it is always nice to have female-centric sentiments on our local screens and such infectious films to bring a smile to people’s faces. Wee Li Lin’s brand of female romanticism and sense of humor may not be of everybody’s taste, but one certainly cannot deny that she can definitely handle her preferred subject matters and do the things she knows pretty well.